In 2015, there were about 11 million illegal immigrants in the United States. This number is lower than in 2009 when the number of unauthorized immigrants amounted to 11.3 million people. Unauthorized immigrants represented about 3.4 percent of the country’s total population in 2015. Some people in the U.S. say that immigrants strengthen the country because of their hard work and talents. As you can see on the graph below, about 41 percent of Silent generation (born 1928-1945) representatives believe that immigrants strengthen the country. 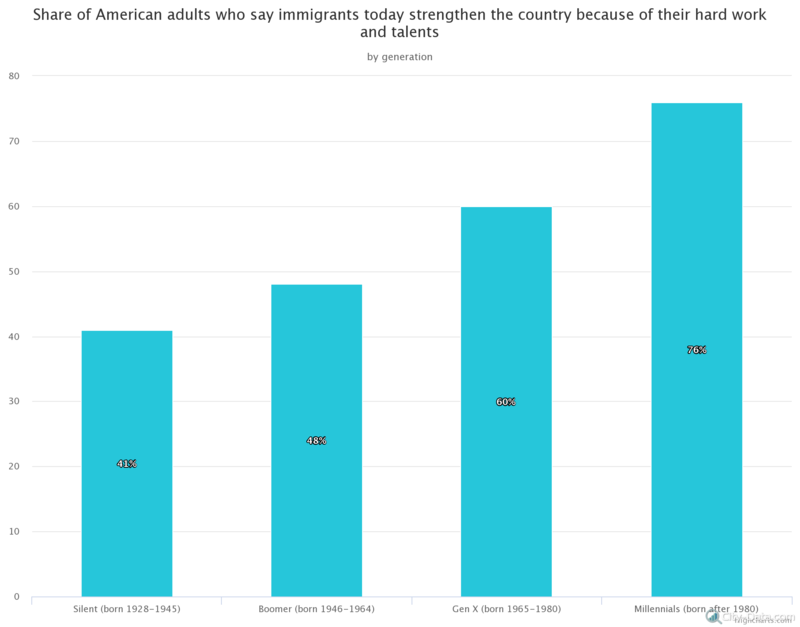 As of March 2016, the share of Boomers (born 1946-1964) who said that immigrants strengthen the country amounted to 48 percent. About 60 percent of Gen X representatives (born 1965-1980) believe that immigrants strengthen the country, while more Millenials (born after 1980) believed this than any other generation — 76 percent. 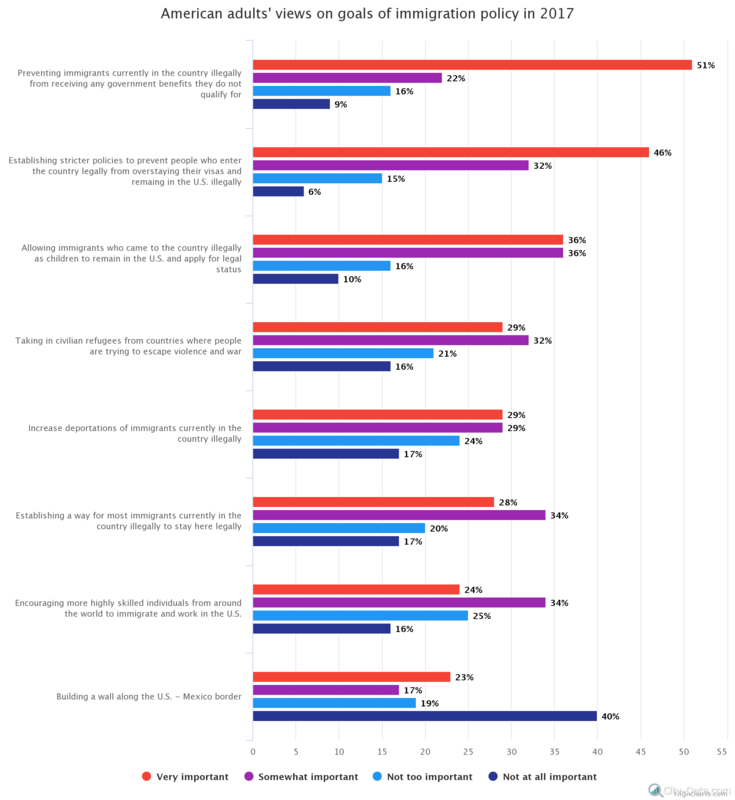 About 24 percent of the respondents believed building a wall on the U.S./Mexico border was “very important,” while 16 percent said about it was “not at all important.” The share of the respondents who believed that it was very important to encourage more highly-skilled individuals from around the world to immigrate and work in the United States amounted to 24 percent. They’ve been saying their are 11 – 12 million for over 20 years. The real answer is probably closer to 25 million. You start off stating illegal, then use unauthorized & then immigrants. They are criminals & if you asked this question “do criminals strengthen the country” what is the answer? That my friend is the truth, so stop with the semantics & bleeding heart bs.